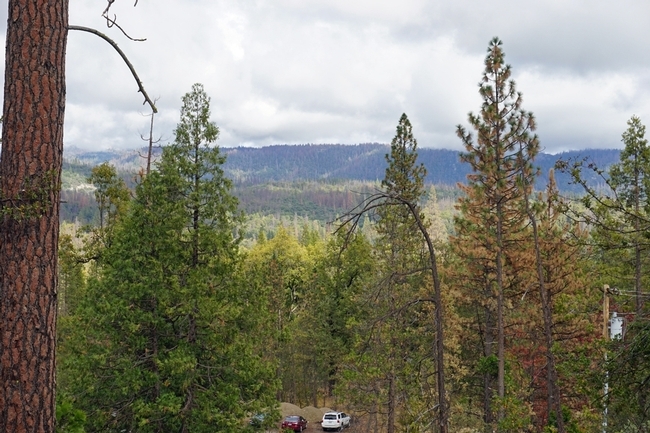 The tour began June 18 at Lake Shasta, the state's largest reservoir, and followed the water's course to the Sacramento Valley, through the Sacramento-San Joaquin Delta and south along the Delta-Mendota Canal. Since a key water destination is agriculture, the UC Water Academy toured the UC Kearney Agricultural Research and Extension June 23, where research is underway to determine how the state's water supply can be most efficiently transformed into a food supply for Americans. “You're visiting a place ideal for growing high-quality fruits and vegetables, because of the Mediterranean climate and low insect and disease pressure,” said Jeff Dahlberg, director of the UC KREC. Kearney director Jeff Dahlberg leads a tour. UC Cooperative Extension water management specialist Khaled Bali joined the students next to his alfalfa research plot, where different irrigation regimens are compared to determine the maximum yield that can be harvested with the minimum amount of water. 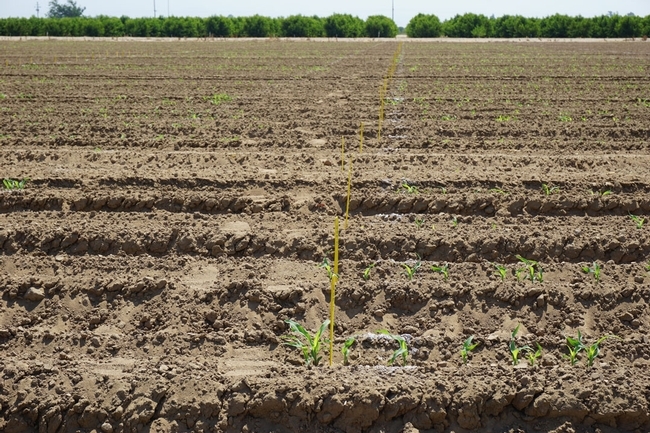 UCCE water management specialist Khaled Bali speaks about his alfalfa irrigation research. 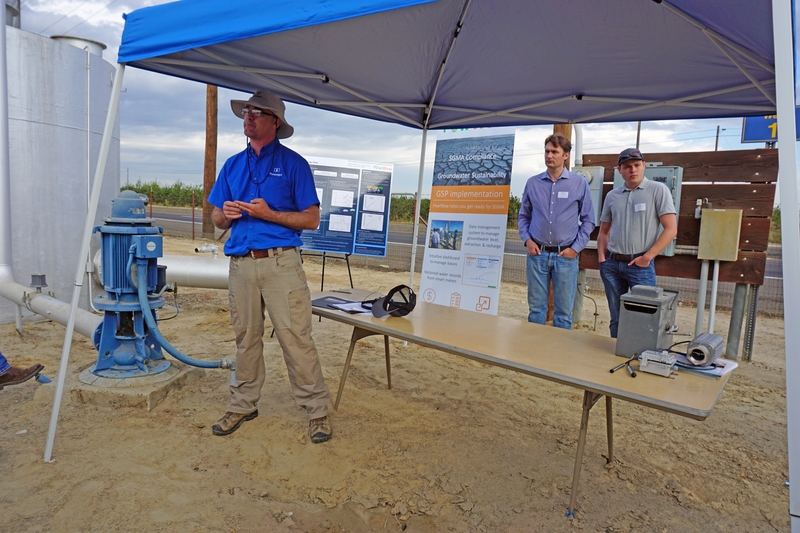 A water tour wouldn't be complete without an introduction to drought research. A recently planted sorghum trial provided the backdrop. UC Berkeley student Chelsee Andreozzi, right, asks a question while Tessa Maurer takes notes on a smart phone. UCB student Brian Kastl is in the background. 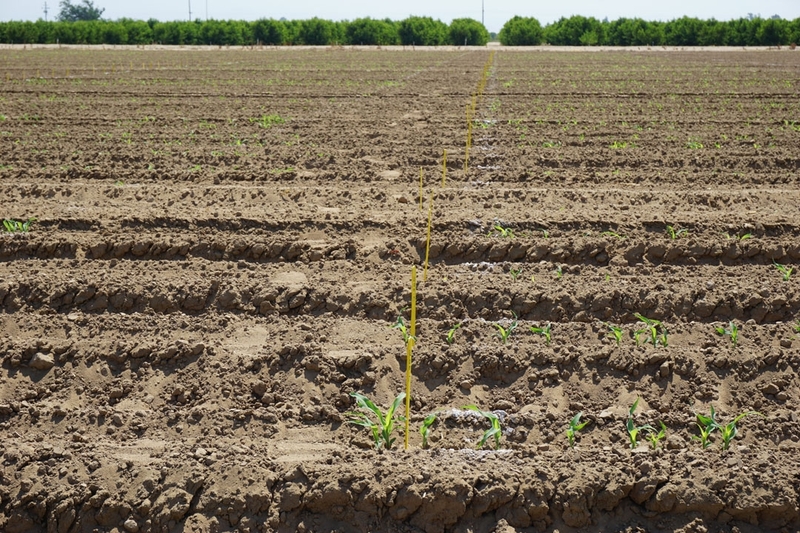 The sizable field contains 1,800 plots with 600 sorghum cultivars under three irrigation schemes: one irrigated as usual, one in which water is cut off before the plants flower, and the final one where water is cut off after the plants flower. “Every week, a drone flies over to collect data on the leaf area, plant height and biomass,” Dalberg said. 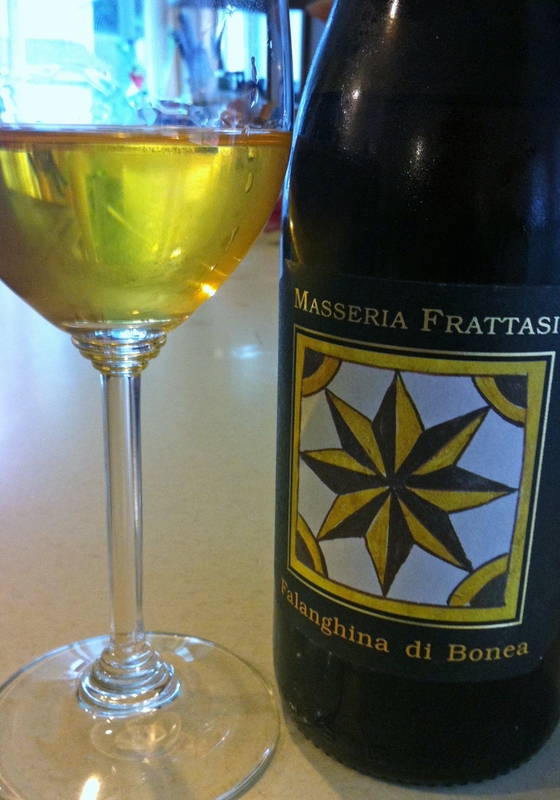 “Hopefully we will get associations with gene expression and this phenotype data." Recently emerged sorghum that is part of a trial aiming to tease out the genes that express drought tolerance. Dahlberg and his collaborating researchers believe identifying the genes responsible for drought tolerance in sorghum will help scientists find drought-tolerant genes in other cereal crops – such as wheat, corn, rice and millet. “This will go a long way to feeding the people of the world,” he said. 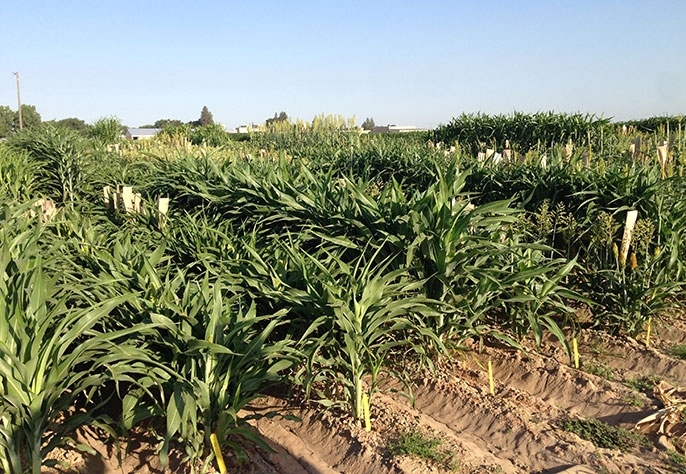 There is still much to learn about sorghum drought tolerance – is it conferred by the plant's waxy leaves, the way stomata are controlled, accumulation of sugar in the leaves, or a mechanism in the roots? Students gather in the post harvest laboratory at Kearney. A third-year earth science student at UC Santa Cruz and a member of the academy, Denise Payan, said the sense of responsibility for the future is not daunting, but encouraging. “It makes me feel like I can make a difference,” she said. 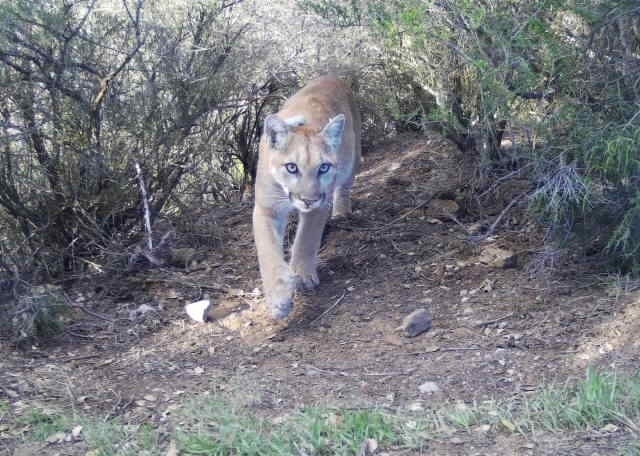 The tour through California is shaping her plans for the future, which may include a career at the intersection of geology and biology. “This has opened my eyes to a lot of issues,” she said. 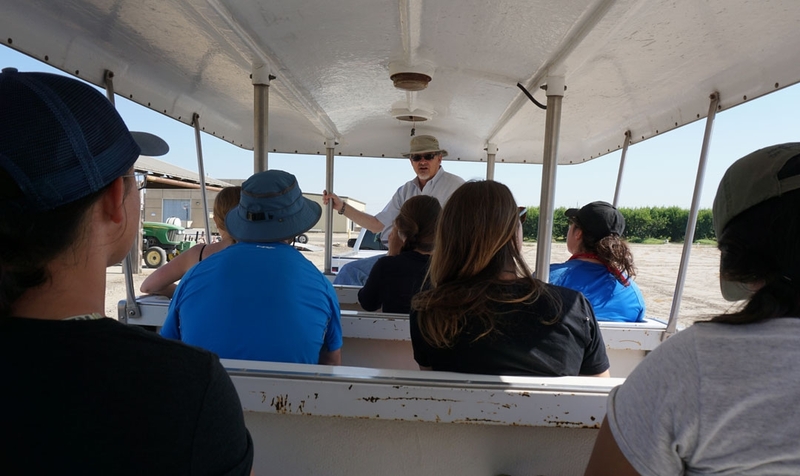 The next stop for the UC Water Academy is the vast Tulare Lake basin to learn about groundwater recharge before heading east to the Owens Valley and the shores of Mono Lake. From there the academy turns to the Sierra Nevada to visit San Francisco's water supply, which is collected by Hetch Hetchy Dam. 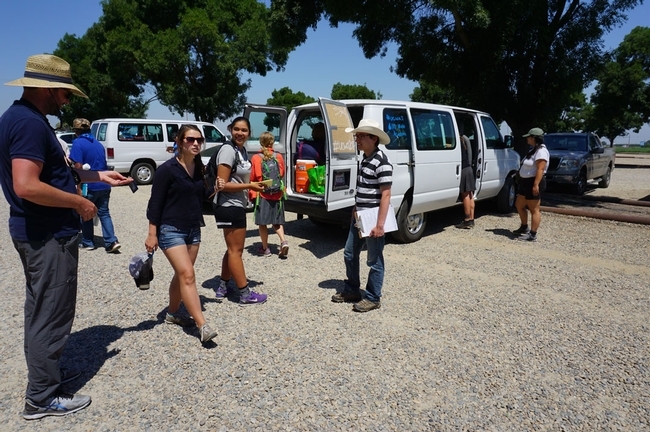 The field trip ends with a two-day rafting trip on the American River. 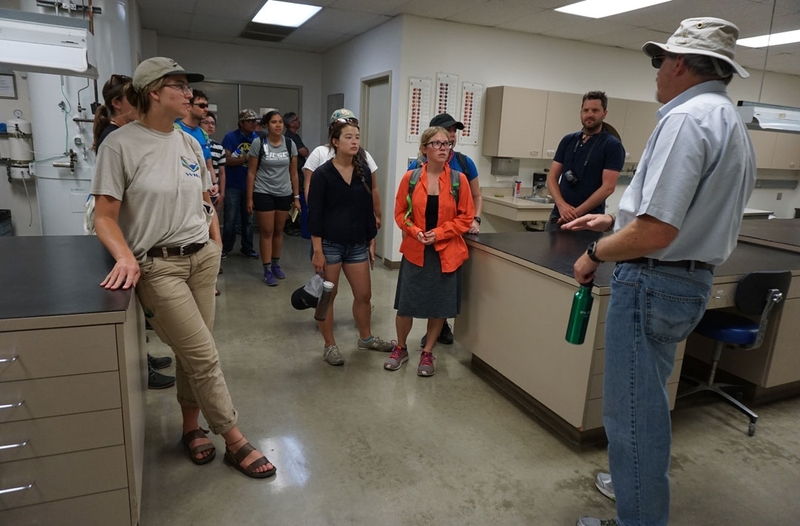 The UC Water Academy is offered through UC Water and led by UC Merced professor Joshua Viers and UC Cooperative Extension water management specialist Ted Grantham. 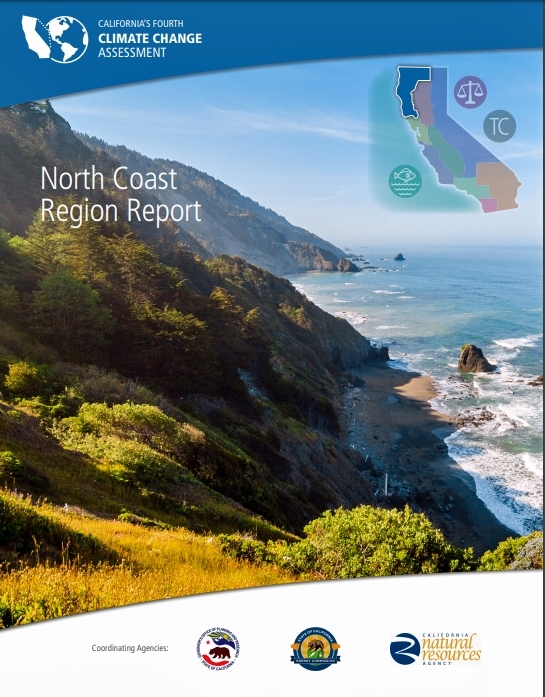 In addition to the two-week tour, students participated in weekly online meetings and complete a project on communicating California water issues to public stakeholders. Students receive 1 unit of academic credit. 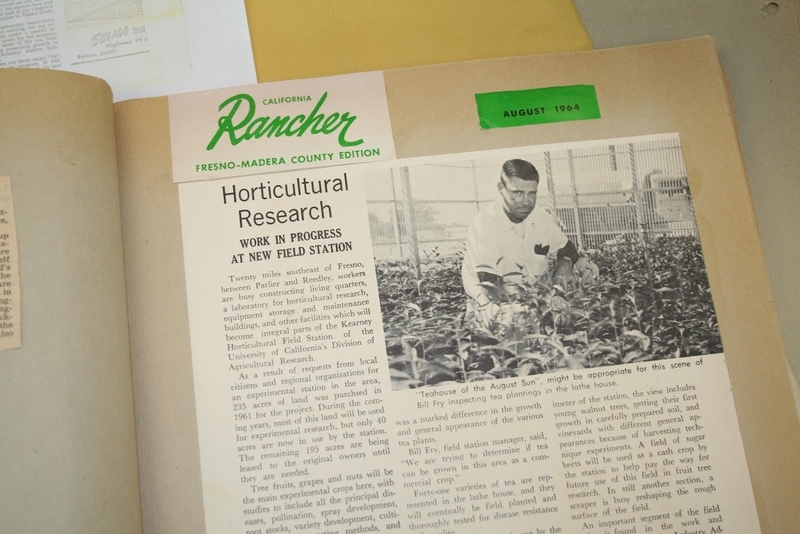 Fifty-five years ago, Thomas J. Lipton Inc. funded a tea study at the UC Kearney Agricultural Research and Extension Center in Parlier, which is piquing the interest of scientists today. For 18 years, researchers pampered and coaxed 41 tea clones to determine whether tea plantations could be a lucrative alternative for San Joaquin Valley farmers. Scientists of the time predicted a potential $25,000 economic value of future California tea plantings. Today, tea is a $3.8 billion business in the U.S. and UC Davis recently launched a Global Tea Initiative. Kearney submitted its yellowed research reports, correspondence and newspaper clippings about the long-ago tea research to the initiative's collection of research, teaching and outreach spanning agriculture, social sciences, health, culture and economics of all things tea. A syrphid fly hovers over a blossom on a tea plant at the UC Kearney Agricultural Research and Extension Center. 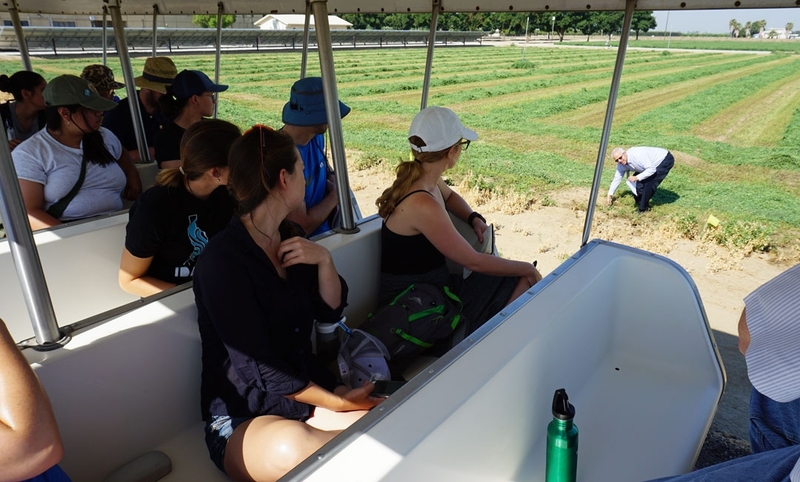 That got the attention of UC Davis chemistry professor Jacquelyn Gervay-Hague, who is studying microbes in the soil where tea is grown and their potential impact on the health attributes of tea. “I believe there is a microbial exchange that ends up in the cup,” she said. When the Kearney tea research program was scrapped in 1981, a prescient researcher had a handful of the best tea clones planted in the landscape around buildings at Kearney, where they stand today as fall-blooming non-descript shrubs. 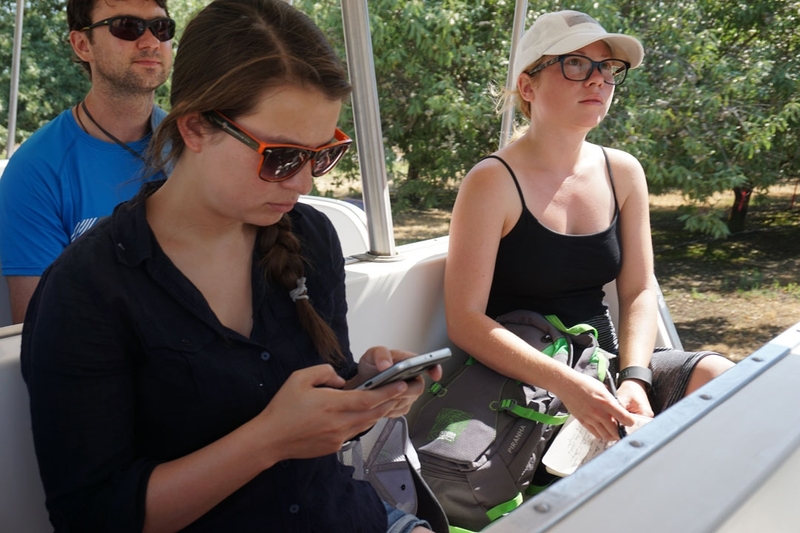 Hague, who with her students frequently travels overseas to sample soil on tea plantations, learned of the plants at Kearney and recognized the opportunity to conduct studies in California. “It's really remarkable,” she said. 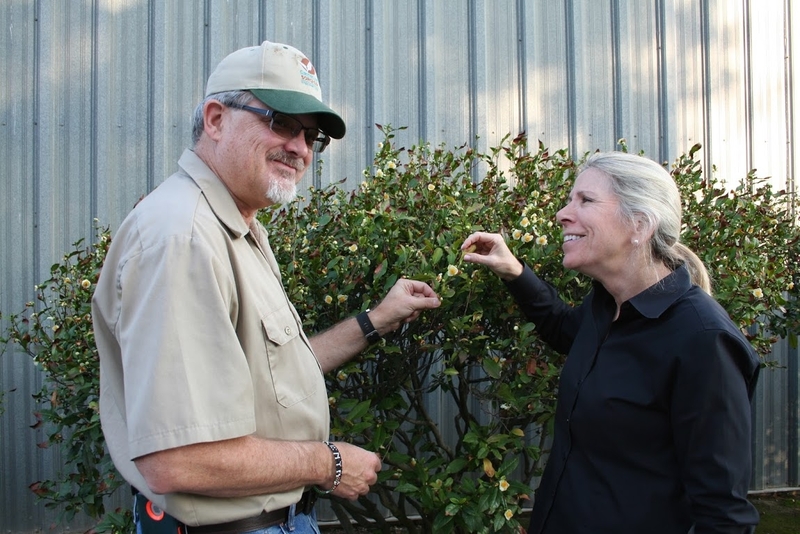 Jeff Dahlberg, left, and Jacquelyn Gervay-Hague stand in front of nine tea plants in a landscape border at Kearney. 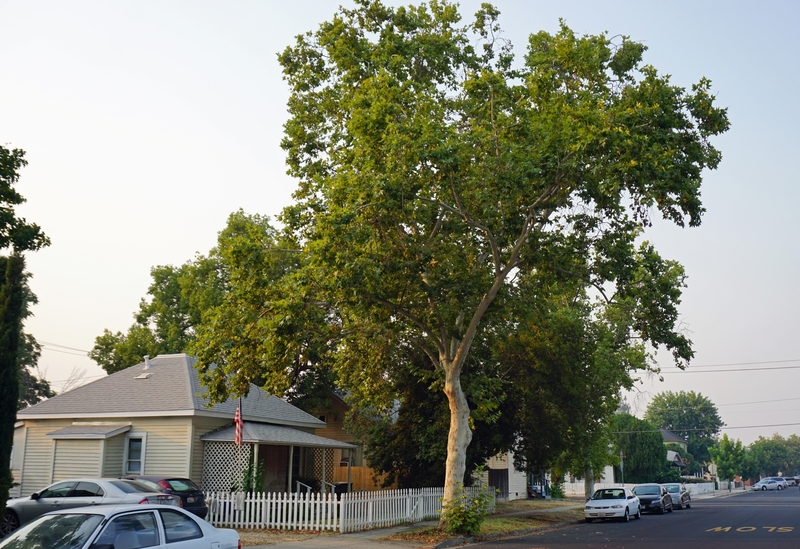 Kearney director Jeff Dahlberg believes the renewed interest in the center's tea, growing awareness about the healthful properties of tea, and increasing enthusiasm for artisanal tea and locally grown food could turn tea into a lucrative specialty crop for small-scale San Joaquin Valley farmers. It was the same intention that prompted Dahlberg's predecessors to support the tea studies in the 1960s and 70s. At that time, 41 clones were propagated in a lathe house at Kearney, and later planted in a half-acre field plot. In 1967, UC Cooperative Extension agronomy researcher Karl H. Ingebretsen told a newspaper reporter that the plants came from clones that survived a similar USDA trial in the 1880s. A 1964 news clipping about the tea project at Kearney. “Most of the imported plants were taken from some growing in South Carolina, where the Lipton company found them 10 years ago growing wild,” Ingebretsen said in 1967. The Kearney superintendent at that time, Frank Coddington, said the scientists hoped successful experimentation would lead to varieties of tea suitable for mechanical harvest and the production of instant tea, a product that in those days was becoming more and more popular. The tea clones at Kearney grew well and appeared healthy, the reports said. Tea plants tolerated California's dry climate and stood the heat when irrigated properly. Five of the 41 clones were reported to show “real promise,” but when the tea project was terminated in 1981, only a few plants representing two of the clones were saved as landscape shrubs. Nine plants now grow on the west side of a corrugated tin warehouse, and four in the shade of knobby flowering pear trees just south of the original building at the site. 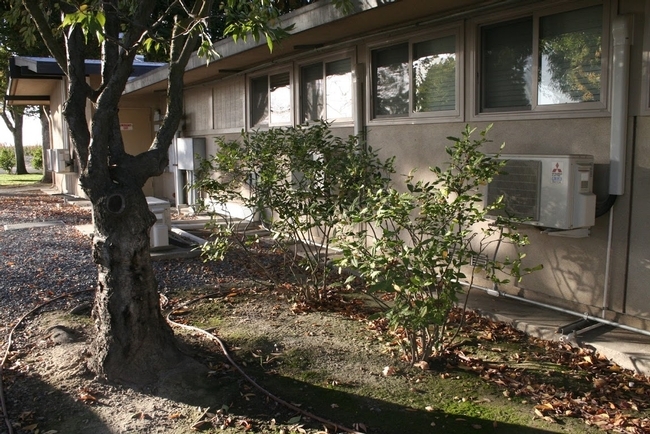 Tea shrubs that are more than 35 years old grow next to a building at Kearney. Gervay-Hague plans to build on the results from early Kearney research with 21st Century agricultural production tools. 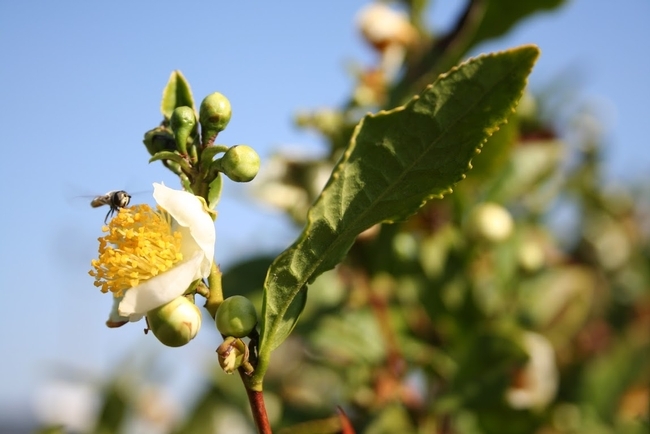 The UC Davis chemist is applying for grants to build a repository of plants that may become the foundation of commercial tea gardens in California. The event, which was co-sponsored by the Organic Farming Research Foundation and UC Kearney Agricultural Research and Extension Center, covered topics ranging from soil health, seeds, plant breeding, and biological control, to biodiversity, economics, and livestock — all with a focus on organic production. “This is a concept we put out a year ago and it is resonating around the world,” Leu said. Organic 1.0 dates back to the 1920s and represents organic farming founders and visionaries, he said. Organic 2.0, beginning in the 1970s, represents the establishment of private standards, public regulations and global recognition. The current stage of organic farming is a time for market reinvention, widespread conversion and performance improvement. 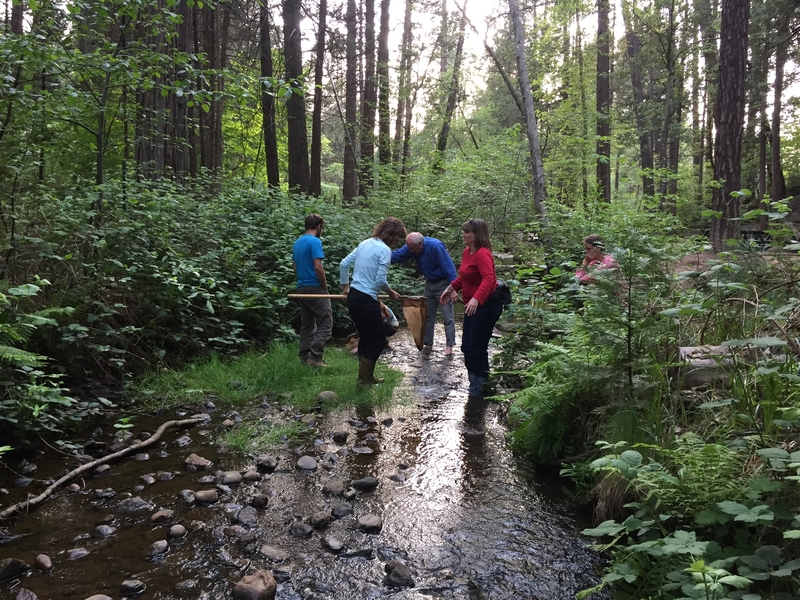 Financial support for the 2016 OARS was provided by the USDA National Institute for Food and Agriculture Organic Research and Extension Initiative and the Gaia Fund. "The OARS conference was very successful in bringing national and international scholars and farmers together to present findings about the latest research and how it is advancing organic farming and ranching," said Diana Jerkins, OARF research director. 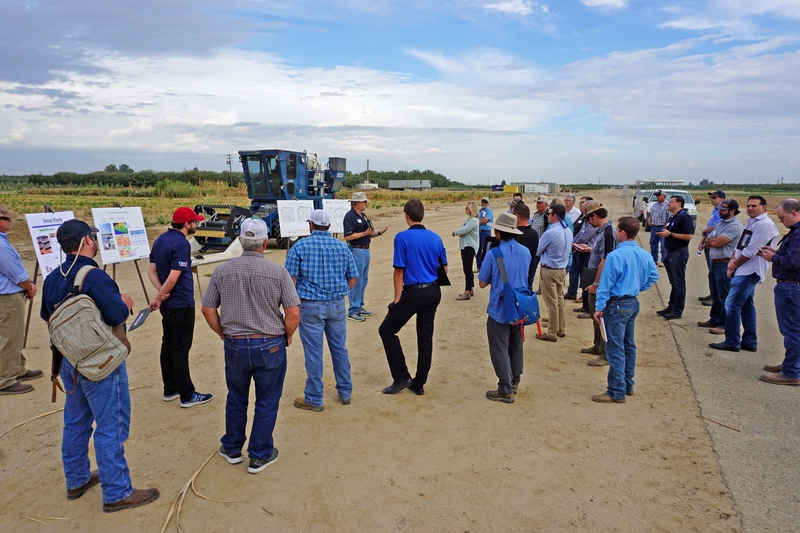 "OFRF will continue to encourage and participate in events such as these to ensure current research, education, and extension efforts are widely disseminated." 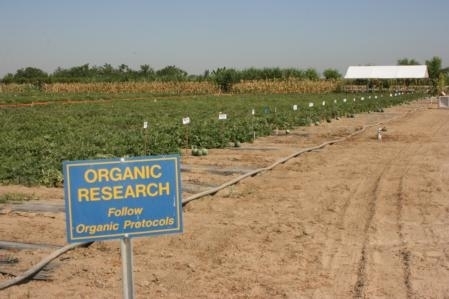 Organic Farming Research Foundation is a non-profit foundation that works to foster the improvement and widespread adoption of organic farming systems. OFRF cultivates organic research, education, and federal policies that bring more farmers and acreage into organic production. The UC Kearney Agricultural REC is one of nine UC Agriculture and Natural Resources research and extension centers across the state of California. Ten acres at the 330-acre center are certified organic and available for organic research.